While most people probably do not hear that much about Yandex on a daily basis, it is worth noting that the namesake search engine of this Russian Internet company is ranked the fifth domain in the world. When such a company launches a browser of its own, it becomes rather interesting. 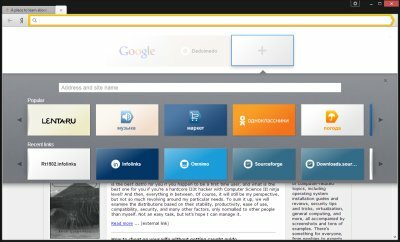 Yandex browser is a Webkit-based product, using the Chromium open-source project code and additional technologies borrowed from Opera. As a direct competitor to the big names out there, Yandex aims at increasing its influence in the Internet search market. 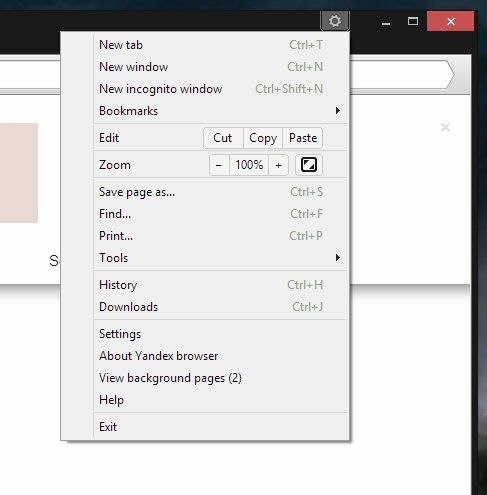 And now, instead of just searching with Yandex through third-party programs, you can use the company's own browser. Reminds you of someone? Google, that's right. So let's see. 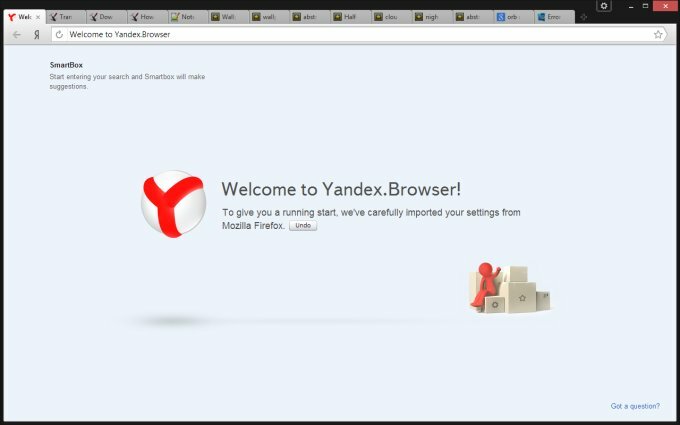 Finding Yandex browser is extremely easy - and yet not. In Western media, there's very little talk about it, for a variety of reasons. One, there's the American industry to protect from the enemy, I mean, the opposition. Two, Yandex aims its product mostly at the Russian market. The installation is extremely simple. 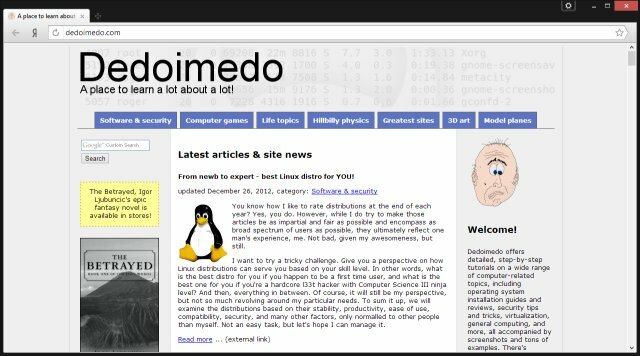 You can choose whether to setup Yandex as your default browser and whether to send anonymous usage data to the company, akin to what all other browser companies do. After that, the installer will do its magic. In my case, it imported all my Firefox settings, including the currently open tabs. It did not touch Internet Explorer at all. 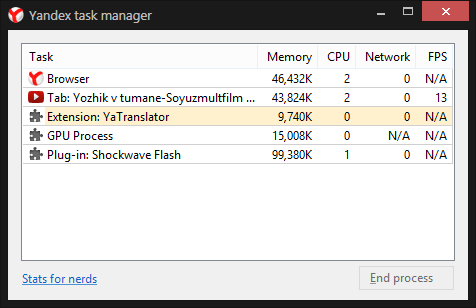 On paper, Yandex is a very impressive program. It has everything you would expect from a modern browser. Furthermore, it offers automatic translation to nine languages, has an intuitive Smartbox a-la Awesome bar and the equivalent Chrome search, Tableu that is much like the dial screen in other browsers, plus Opera Turbo technology for faster page loads on slow connections. Then, it scans downloads with the Kaspersky anti-virus cloud scanner. Unneeded, but gives people a sense of safety. I found Tableau to be both useful and annoying. The color tile scheme is pleasing and less intrusive than other browsers. However, you cannot just quickly open a blank tab. If you try, Yandex will offer its favourites (spelled UK style). You can add and remove tiles, and the action is identical to Windows 8 in that regard. You can add new sites as you please. Useful, but somewhat clunky, and for me, somewhat restrictive, as it breaks the flow of tab opening. Although the browser was installed in English and I was using English as the system language, Yandex offered to translate pages. This was somewhat annoying, although it's fun to see English being offered as a non-default language. Another surprise for me was the default search. Naturally, Yandex offers its own engine as the first choice, and this redirects to a Russian page. Not very useful if you're not a native speaker, and you kind of get a hint that you're not desired. Why not use the international version of Yandex? Likewise, the browser took me to a Russian version of the Youtube homepage, and I had to change the language to make any meaningful use of it. Once more, the slight feeling of alienation creeps up your spine. However, the Flash playback worked fine. Under the hood, you would be hard pressed to differentiate Chrome from Yandex. The settings menu is virtually identical, including all the geeky little details. 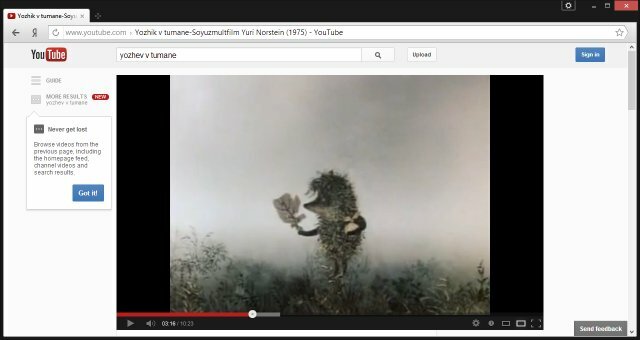 The system settings cogwheel is located in the windows border, rather than to the right of the address bar like in Chrome. Gives more space for text, but it creates a somewhat messy overlap of the web page area. Yandex is a handsome and fast browser. But it is too much like Chrome for my comfort. Moreover, it localizes most of its functionality, taking away some of its international charm. Stands to reason, when you think about it, as you end up with Yandex + Yandex versus Google + Google Chrome using pretty much the same technology, and this is what the Russian market needs. However, for anyone outside Russia, the combination of language searches, translations and suggestions might be too much. I have nothing against the browser's aggressive mission statement, but I would surely like an international version with English as its primary language and mindset. Then, it would be most interesting to see, down the road, how efficient, useful, safe and privacy-oriented Yandex really is, especially when you compare it to Google. For now, Yandex is good, but it needs to work more on luring the non-Russian crowds to its side. If it wants, that is.